This Christmas, we're supporting a cause that's grown very close to our hearts over the last few weeks - the Neonatal Intensive Care Unit (NICU) at the Luton & Dunstable Hospital. On 14th September 2016, our beautiful nephew Arlo Royston Mathurin was born at the L&D Hospital. He was born at 26 weeks and was immediately transferred to NICU where he received around-the-clock care. On 19th September, Arlo sadly passed away. His incredible parents, Laura and Martin, have decided to raise money for NICU in Arlo's Memory. 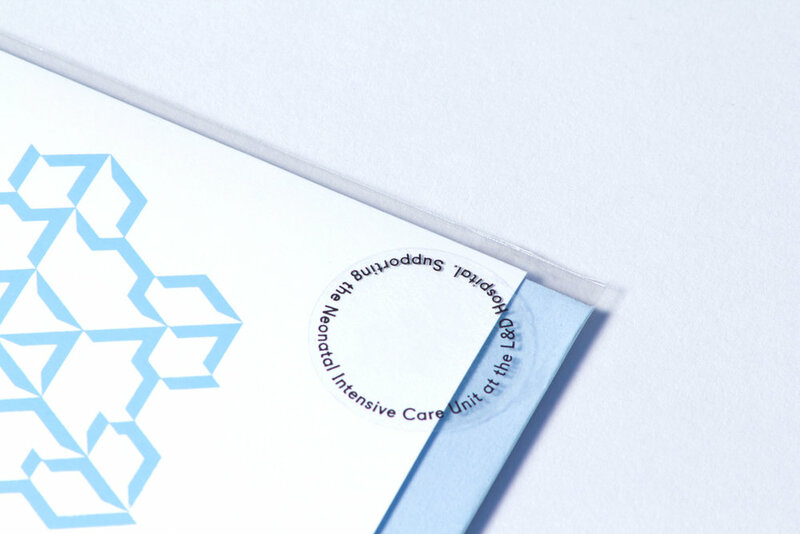 To help raise money for the Unit, we’ve designed two Christmas cards - Arlo's Snowflakes - featuring a hand-printed snowflake in blue and white foil. We will be donating 100% of our profits from every card sold to the NICU appeal. Each year the L&D Hospital's Neonatal Intensive Care Unit treats over 900 premature and critically ill babies. They offer the highest level neonatal intensive care possible and are one of only three high-level neonatal units in the East of England. The L&D Hospital is building a new, bigger unit with more cots and better facilities to help treat even more babies. The NICU Appeal has been launched to raise additional funds to buy extra equipment to ensure that all babies are treated in the best possible environment. This new state-of-the-art facility will accommodate up to 46 cots. It will also include much-needed facilities for parents so they can stay close to their baby. Arlo's Snowflake cards are available to buy on our website or you can donate to the appeal directly.